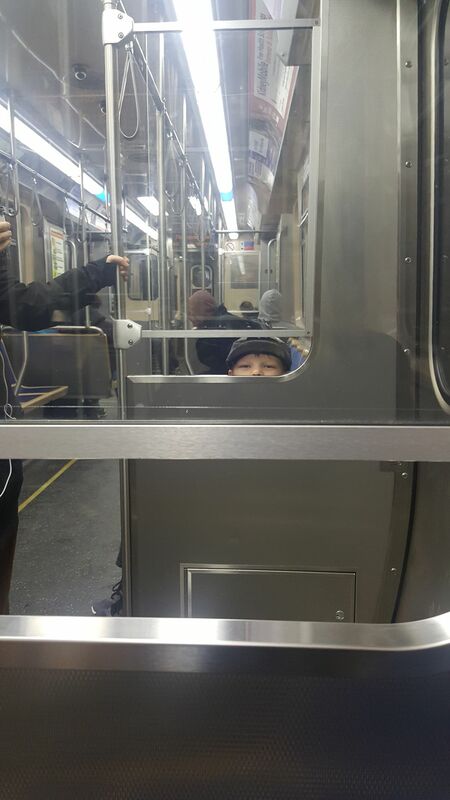 I don't remember where we were going but my son likes to exercise his "bigness" by sitting away from me on the el. Here he found his own seat but made sure I was still in view. Date Uploaded: Nov. 26, 2018, 11:56 a.m.